Maltese authorities will employ hundreds of Turkish construction workers to work on major private construction projects across the island, The Sunday Times of Malta reported on Sunday. The country plans to import workers from Turkey, providing them fast-track approvals via the government's employment agency Jobsplus, said the newspaper. Jobplus did not confirm the plan but the daily quoted a Turkish company involved in the project, TACA, that the government intends to bring up to 2,500 construction employees to work on major projects on the island. Industry sources told the newspaper that there was a need for more construction workers due to the ongoing building boom. 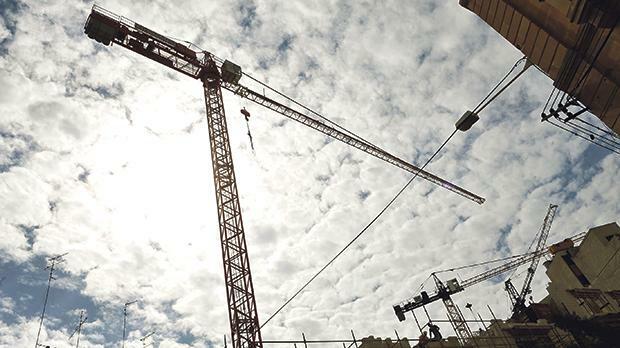 There are some 2,000 third-country nationals registered to Jobsplus as construction workers, according to the Maltese daily, adding that there are many more thousands working illegally. The country recruits foreign labours due to low costs, according to the paper. The minimum wage in Malta doubles Turkey's, which is around €380 per month. However, according to local laws, foreign workers on the island have to be paid at least Malta’s minimum wage. The authorities plan to place the workers on a large site next to the airport where they will live in makeshift mobile homes, "similar to those used by refugees in Hal-Far", one of the main industrial estates in southern Malta, the newspaper said.